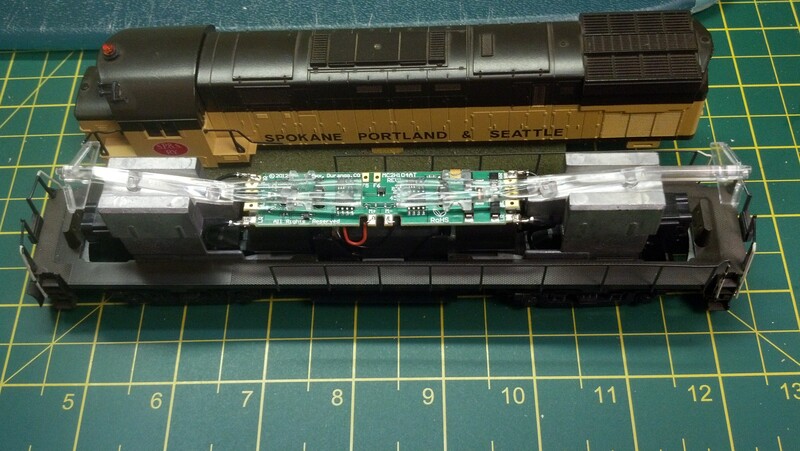 I am currently converting an Atlas Alco C-424 to DCC and have run into a problem with converting the cab and rear light systems into LED’s. You can see the two long plastic light tubes used in the factory setup with one light bulb for both. 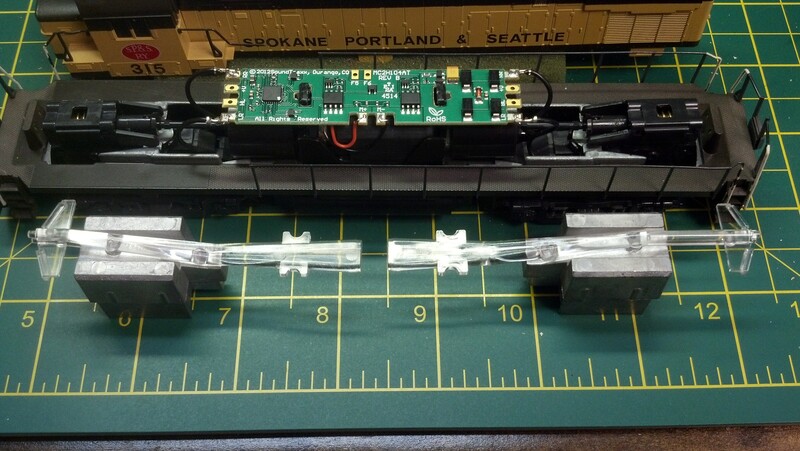 Since the Soundtraxx MC2 board has separate light controls I want to incorporate two LED’s, but where and how to add them. I will post this question to the internet and take the problem to the experts at our club. This entry was posted in Electronics and tagged DCC, LED on May 29, 2017 by Capt.Brigg.